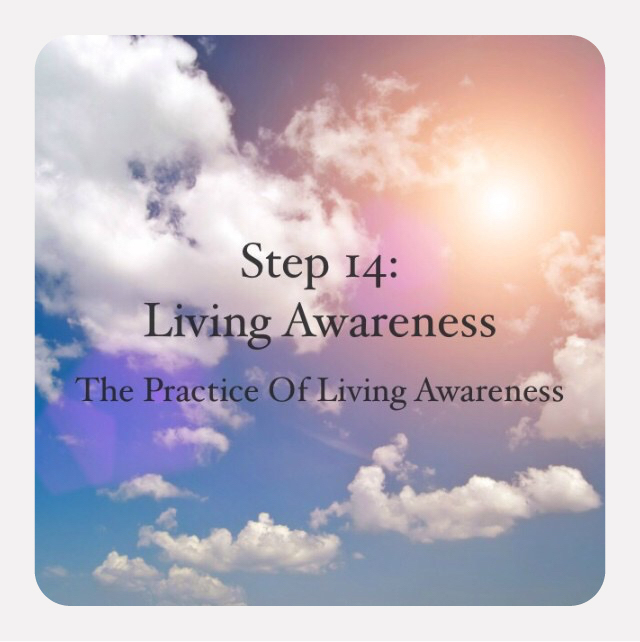 When The Practice of Living Awareness established itself in my mind, it had twelve steps. I said to myself, “Perfect! One for each of the petals of the heart center.” Over the next couple of years and three excellent meditators and teachers training in how to offer The Practice, two more steps were added. “Perfect,” I said to myself. “One for will and power (1st Ray) and four for Humanity (the 4th Ray and the buddhic plane). So now what? As I said this morning in the live meditation (which is the podcast), no, I have not abandoned The Practice. It is a step by step method that serves and suits a modern beginner or intermediate practitioner who lives a common, busy life. Why? Because The Practice is about integrating each step for the meditation cushion into one’s daily life. As Jigten Sumgon stated, “If one cannot practice self-awareness, the result of one’s practice will be easily dissipated by thoughts and outer conditions.” The steps are born of the blessings of the Buddha and of Master Patanjali, the two greatest teachers of meditation to grace our planet during this root race. So then, as the current experiment in meditation practice, four techniques are being offered. They build upon each other and will bring benefit if done in order. They include and essentialize several of the fourteen steps of The Practice of Living Awareness but are not a replacement. If one is beginning a meditation practice, The Practice is where to start. But, since many, if not most, of those meditating with me have been for years, simplification is worth trying. Today’s meditation completes Technique #1. Next week is Technique #2. I drove from southern Colorado through northern New Mexico and the panhandle of Oklahoma to be at the meditation retreat in Tahlequah, Oklahoma last week. Overall, it was a beautiful drive. 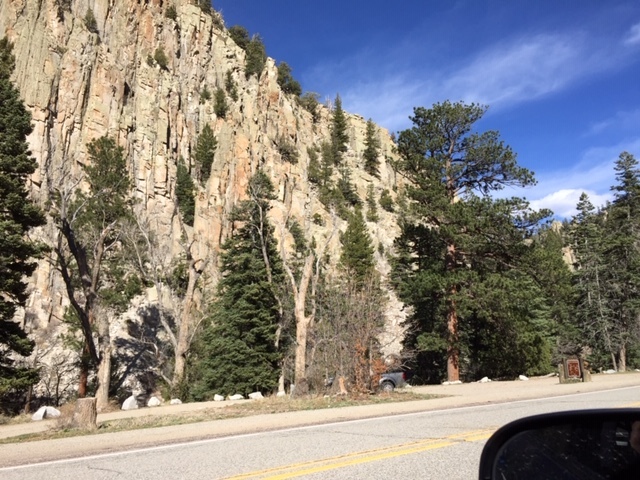 Switchbacks and hairpin turns through winding treed canyons in northern New Mexico led to open vistas at over 8ooo ft. A wall of rock called the Pallisades were breathtaking and my camera did not do them justice. Across the road from this majesty was miles of burnt forest. Northern New Mexico, like Colorado and California has had frightening forest and brush fires through the BLM and National Park lands. This winter graced CO and NM with a little more snow than usual. Maybe it will help regrow the forest and save what did not burn. Pronghorn antelope grazed with cattle. The numbers were in the cattle’s favor! The pronghorn is supposedly the fastest hooved animal in the world. It developed that speed to outrun ambushing cougar and wolf. Both are gone from most of these parts now. That’s a shame for the entire ecosystem and health of the herds. As I drove to Oklahoma, I was enamored. New vistas, new skies, empty mind. But, on the drive home I noticed something. In the Panhandle, one drives over many small bridges, all in good repair, but there is no water under them and has not been for, clearly, several years. Every mile or so another creek’s name would crow from the name on the bridge, but no life, no water, no animals, nothing but dry grass and scrub were there. Beaver brook, Otter river, High Water Crossing, and such revealed that once this land was crisscrossed with rivulets and creeks. It also once teamed with otter and beaver, bison, wolf, cougar, cottonwoods, and willow. Birds of a wide variety also would have been abundant. But alas, greed has laid waste to the green and the lush. Water became a form of gold, and irrigation a form a greed. As bridge after bridge was crossed, as one name after another told of what used to be, I prayed that humanity -especially in this nation- will understand that short-term gain through selfish methods has very long-term negative results. 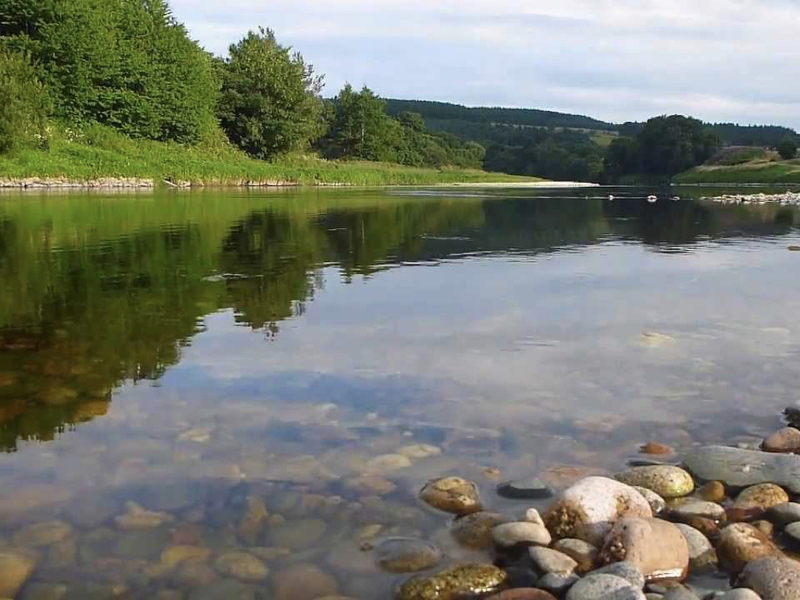 The simplicity and supremacy of meditation has been championed many times here on this blog. As the compassionate and wise have testified through the ages, there is nothing more powerful for a person’s self-actualization of heart and awareness than meditation. And, though there are countless variations on the theme of meditation’s simplicity, each technique highlighting or emphasizing one factor of awareness/compassion or another or addressing the untamed and untrained factors within our habits that obscure awareness/compassion, meditation practice itself is simple. After teaching meditation for over 30 years and practicing it for a very long time, my practice has essentialized to the simplicity offered by the enlightened ones and used by them so that awareness/compassion would be what they lived and demonstrated. I long to do the same; and in the recognition of one’s challenges to that aspiration is the recognition and empathy that others also are challenged. We all suffer but we all want peace within and happiness in our lives. We want that for our dog or cat, our family, and the world. So, here on the online practice, we will focus on four simple techniques. I did not make them up. 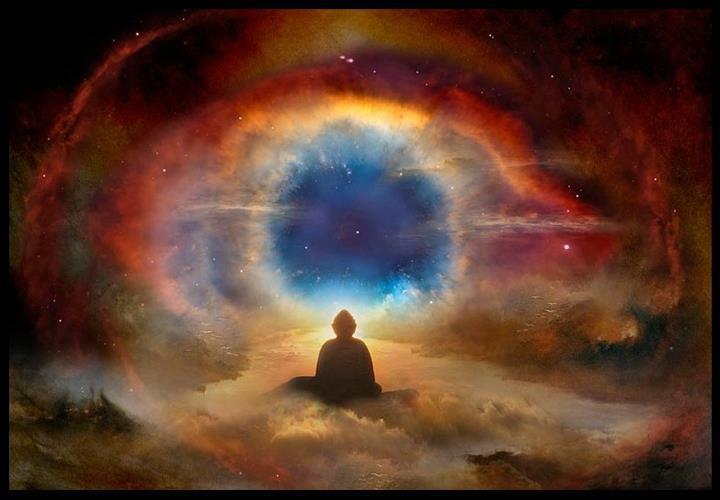 They are from the Buddha, the supreme master of meditation and conqueror of all that was untamed and untrained within. Each of these techniques runs through the entirety of meditation practice, from rank beginner to realized being. Of course, that is true of all the essentials within meditation practice: the beginning step is also the final step in the most advanced practices. For example, shamatha is dzogchen if fully accomplished. 1. The first technique requires 10 minutes. First, settle: acknowledge that you are sitting, the sensations of body, breath, sitting, etc. Participate fully in your choice to be present and sit in meditation practice. That will take a minute or two. Then, simply be. Thoughts will arise, they will fall. Lists will want to be tabulated, don’t pay attention. Breathe. Within and underneath the litany and the complexity of our usual emotion-mind state is a smooth, gentle, blank, flowing awareness. It has nothing, is nothing, and yet is experience-able. This smooth blankness is the mother of all cognition, the source of all peace, the origin of equanimity. No online meditations will be offered Tues-Sat, April 9-13 while I’m away teaching a meditation retreat. Online meditations resume on Tues., April 16. Hope you will meditate on your own for the well-being of all beings.